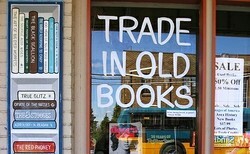 Clear your shelves and recoup some cash for buying new curriculum by selling your used homeschool books and resources. Know where and how to sell for the safest experience. I love books, but I know that selling used homeschool curriculum is a good thing to do. Here are some reasons. One can physically have only so many books. Sometimes older books need to find new homes, especially when you need to buy new curriculum for an upcoming school year. Although we can always enjoy a classic picture book, elementary teaching materials are probably not going to be of much use with your homeschool full of teens. If there are no other little ones coming up, go ahead and sell those phonics series and counting bears to another mom who will use them. Why let them gather dust on the shelf? Selling books provides money for buying new curriculum. Buying homeschool curriculum is expensive, and if you need to buy new materials, selling your old things is a good way to offset that expense. I've used this site to sell a few things. It's easy to use and free to list up to five items. This attractive site is a bit more complicated to use, but it's free, and easy to upload an image of your book. I have sold books on this site too. Another no-frills board that sees plenty of activity. Okay, technically this site is not about SELLING but swapping. However, if you need other books for your curriculum, this may be a low-cost way of doing it. This forum for classical educators sees lots of action. What is Your Experience With Selling Curriculum? I've never sold any used curriculum before. I've sold some used books in person, but never online. I've sold a few homeschool things online. I'm an experienced seller of used homeschool books and materials. Find a competitive price on Amazon or Rainbow Resource as a basis for your pricing guide. When buying used books, the buyer doesn't care that you paid $5 more than it sells at a discount store. If she can get it new for $9.99, she's not going to pay $8 used. Ask for no more than half of the new price. If the book is worn or has damage, go down to a third of the competitive price. The reason to include postage is that the buyer knows there are no hidden costs. This is going to seal your deal. There's a sense of being deceived when the seller comes back with added costs. Make it all plain upfront. I find the US Postal system wonderfully flexible. I've wrapped books in newspapers, secured with clear tape, and affixed labels. I've also used paper shopping bags as wrapping paper. Tape is the one thing you can't really skimp on. You do need very strong CLEAR packing tape. It is pretty much the primary way to receive payment for used homeschool curriculum. Set up an account. It's free, and it's safe. It's much faster than waiting for a check to be mailed and to clear the bank. If selling your books online seems to be a big hassle compared to the small pay off of just a few dollars, consider other alternatives. Donate them to a thrift store in your area. Contact your local homeschool group to see if there is a curriculum closet. Send them to The Book Samaritan, a ministry that provides free curriculum to homeschool families in need. My top picks for Bible curriculum for homeschooled students. Including music in your homeschooling day is easier than you think.